The CIES Football Observatory have come up with the list of the most valuable footballers in the world and PSG sensation Kylian Mbappe is sitting pretty at the top. 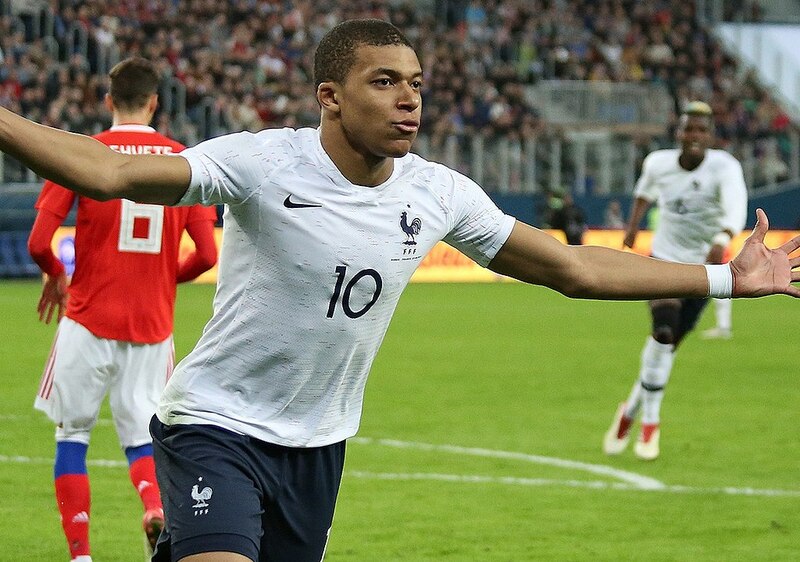 Kylian Mbappe has had a wonderful time ever since moving to PSG last year and the cherry on the icing was when he managed to inspire France to their first World Cup in two decades. And all this limelight during the summer has seriously impacted the valuation of Kylian Mbappe who is now the most valuable footballer in the world. CIES used data like performance, age, marketability and their current contract length among other factors to come up with a valuation for each player and Kylian Mbappe currently sits pretty on the top of the list with £ 189.3 million against his name. Kylian Mbappe is followed by England international Harry Kane who has been valued at 172.5m. Liverpool’s Mo Salah also makes it to the list on the number four spot followed by the Barcelona duo of Philippe Coutinho and Lionel Messi respectively. Manchester United striker Romelu Lukaku also makes it to the top 10 list despite being heavily out of form while Antoine Griezmann is the last name on the list with 137.9 million against his name. But the most surprising thing is the fact that Cristiano Ronaldo’s name is not on the list despite making a headline-grabbing move to Juventus during the summer transfer window. Read: Jurgen Klopp makes a forceful change to his Champions League squad. Read: ‘This England legend is set to return to the Three Lions squad later this month. Read: Former Premier League star enters the final stage with his battle with cancer and here’s his message. Previous articleWill Manchester City challenge the likes of Chelsea and Spurs in the signing of ‘this’ Hammers youngster?